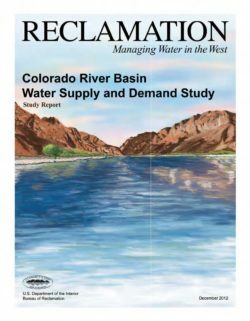 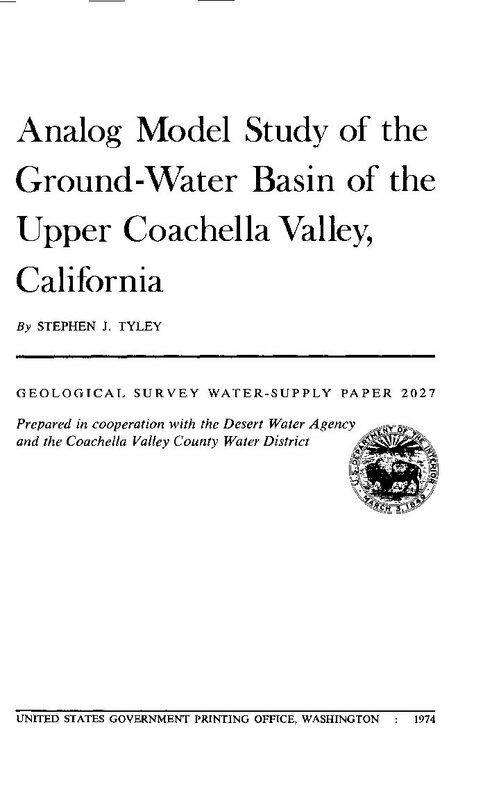 The primary goal of the Colorado River Hydrologic Region (Colorado River region) groundwater update is to expand information about region-specific groundwater conditions for California Water Plan Update 2013, and to guide more informed groundwater management actions and policies. 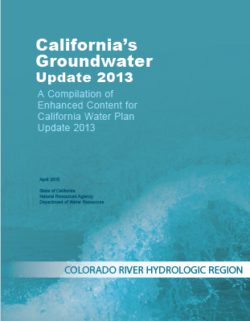 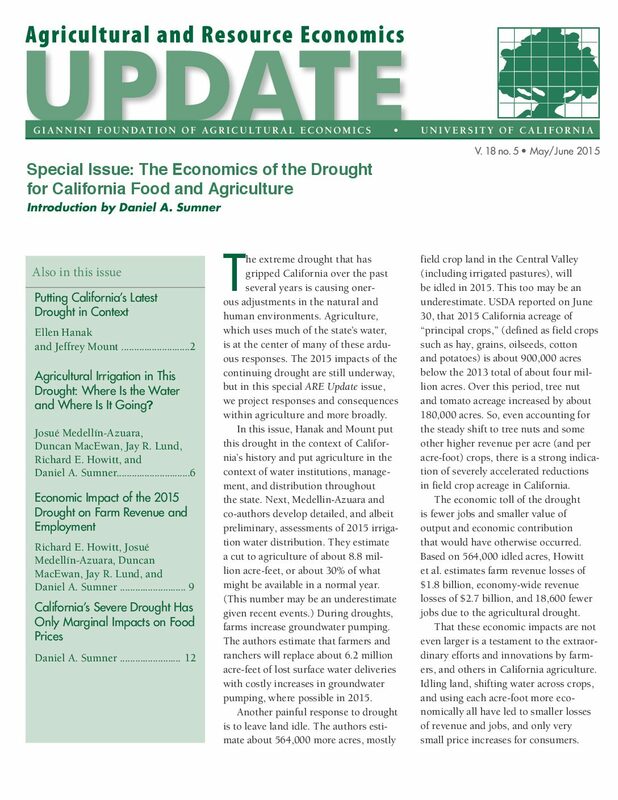 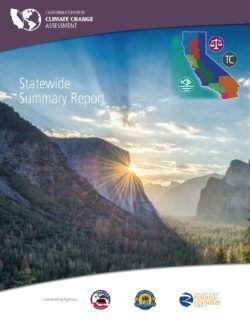 A second goal is to steadily improve the quality of groundwater information in future California Water Plan (CWP) updates to a level that will enable regional water management groups (RWMGs) to accurately evaluate their groundwater resources and implement management strategies that can meet local and regional water resource objectives within the context of broader statewide objectives. 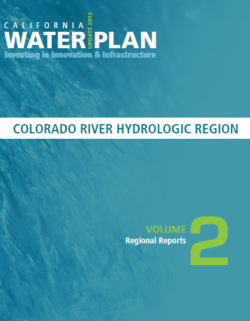 The final goal is to identify data gaps and groundwater management challenges meant to serve as a guidepost for prioritizing future data collection and funding opportunities relevant to the region. 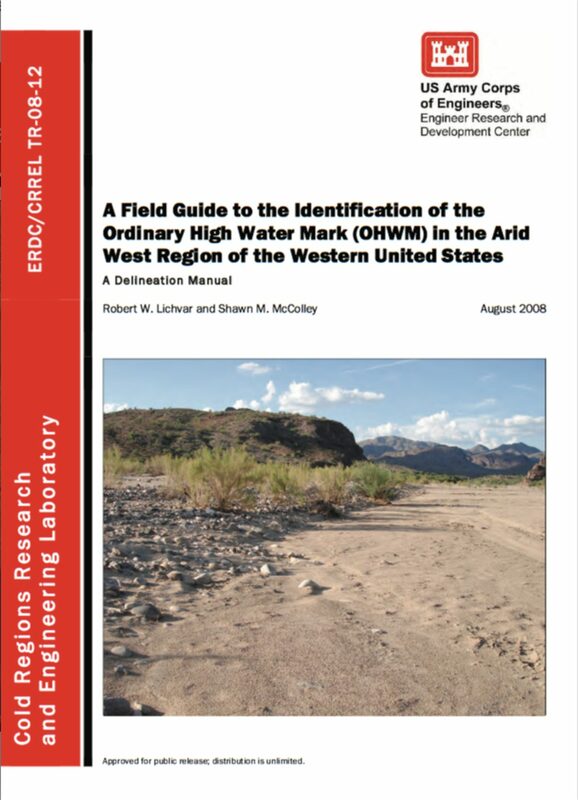 This regional groundwater update is not intended to provide a comprehensive and detailed examination of local groundwater conditions, or be a substitute for local studies and analysis. 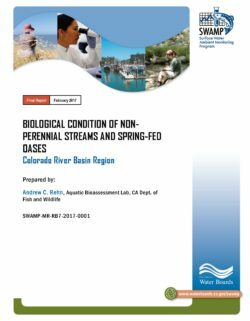 Where information is readily available, the update does report some aspects of the regional groundwater conditions in greater detail. 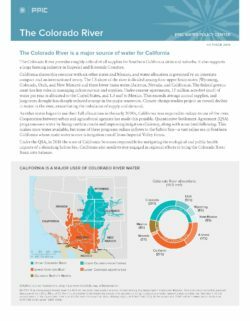 The Secretary of the Interior has directed California to come up with a plan to live within its entitlement of 4.4 million acre-feet of water per year. 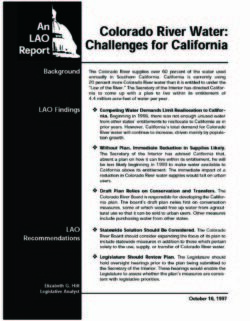 We provide findings and recommendations regarding this directive.